DM Metalloys Pvt. 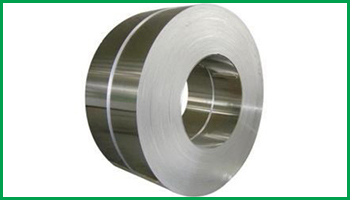 Ltd. is one of the prominent supplier, exporter and manufacturer of Stainless steel 304/304L/304H coils in India. This coils are suitable for bending, flanging, and similar forming operations, and for fusion welding. It is basically used in oil or natural gas industries. Stainless steel UNS S30400/S30403 and WNR 1.4306 coils are available in various specifications and sizes as per consumer requirements. Our products are manufactured under various strict guidance for making sure the quality of the product and production process. DM Metalloys Pvt. Ltd. Supplies Stainless Steel 304, 304L, 304H Coils in Faridabad, Gurgaon, Gurugram, Gaziabad, Noida, Lukhnow, Delhi, Delhi NCR, Ludhiana, Amritsar, Chandigarh, Jalandhar, Baddi, Punjab, Uttar Pradesh, Haryana, Mumbai, Pune, Sahibabad, Meerut, Manesar, Bhiwadi, Bawal, Neemrana, SIDCUL, Sonepat, Ambala, Mohali, Panchkula, Kapurthala, Bareli, Kanpur.